This is a curious condition that tends to affect the shoulder usually one shoulder. It generally has 3 stages in which the shoulder becomes painful (with/without a cause) – Stage 1) and then becomes progressively stiff (Stage 2) with loss of movement. The typical movement lost is moving the arm outwards and upwards. The stiffness and pain can last many months and in about 80%-90% of patients it will resolve (Stage 3) gradually over about 6-9 months to a year. Most patients need the correct diagnosis based on clinical examination and sometimes tests such as Xray/MRI scans. Injections of steroid tend to work in Stage 1 and physio helps in Stage 3. 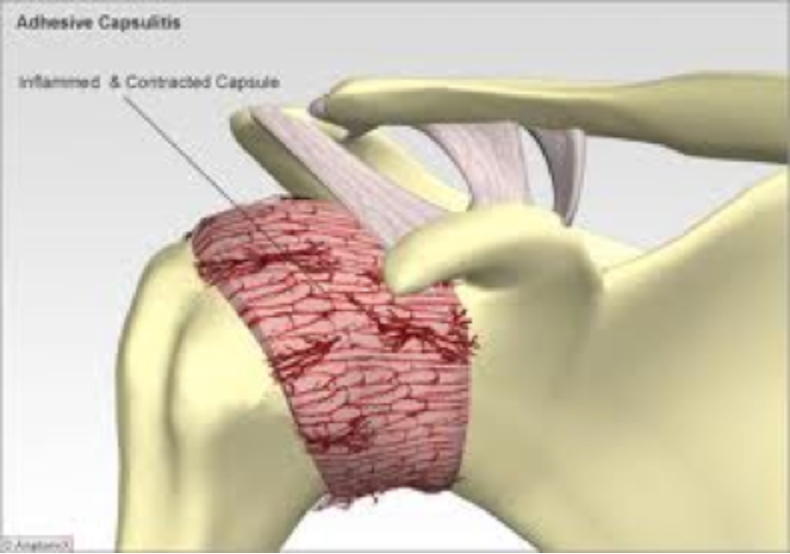 In patients where there is poor resolution of pain and stiffness surgery in form of Arthroscopy of the Shoulder +/- capsular release in addition to correction of other problems can be carried out quite successfully. Treatment by non-surgical or surgical means is prolonged and may take a year or longer for the condition to resolve.